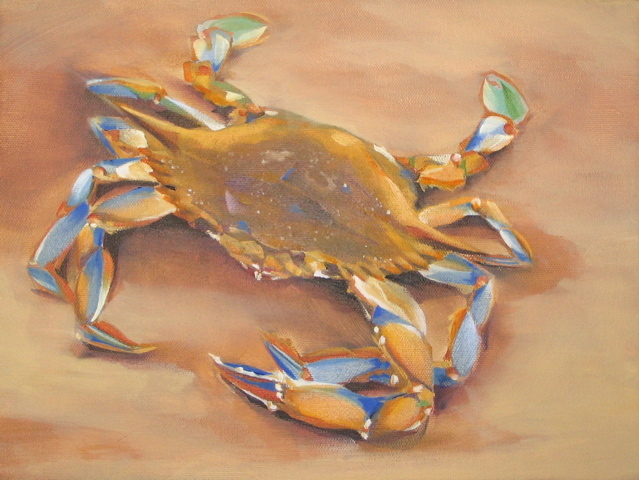 The genus name for the blue crab is Callinectes, which means "beautiful swimmer." The back legs are paddle shaped and made for swimming. Female blue crabs have bright red claws and males have blue claws. Crabs bury themselves in mud in winter and emerge when temperatures rise in spring and live an average of less than one year after reaching maturity.